It Was a Very Good Year for Worship In Action! The beginning of a new year is always a time when I think about what we have done in the previous year, and commit to the Lord our plans for the upcoming year. Of all we accomplished in 2015, I am most proud of Worship In Action and the impact it has made round the world. 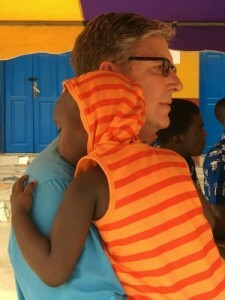 I love how we are able to regularly support an orphanage in Ghana called Royal Seed Home. When the earthquake shook the nation of Nepal, we sent resources to purchase emergency medial supplies. And at the close of the year, we responded to the Syrian/Iraqi refugee crisis by purchasing food and other needed supplies for those who have lost everything. I thank God for your partnership, and for the privilege of putting my worship in action in such practical and tangible ways. Our partners made it possible this year to significantly increase our support of Royal Seed Home in Ghana. Together, we fed the kids; improved the RSH facility; bought new textbooks; provided health insurance for all the kids; paid medical bills of abandoned babies in need of emergency surgeries; and we sent older students to trade schools so they will be able to find jobs when social services requires them to leave the home. I believe our small role in the overall health and well-being of these children brings glory to God. 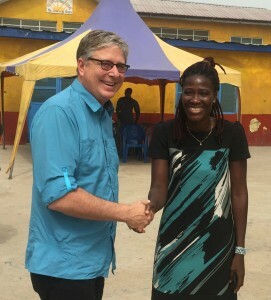 At the close of 2015, I returned to Ghana for a partner meeting (I will tell you more about that later), and visited the kids of Royal Seed Home. The trip was a highlight of my entire year. To see with my own eyes and be reminded of the reason we give to this worthy cause, gave me fresh fire for 2016. 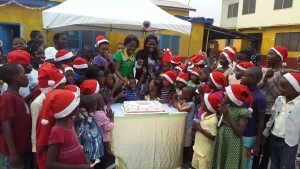 I am happy to tell you that for the first time ever, the kids had a proper Christmas Day celebration. Thanks to our good friends, Daniel and Veronica Mensah and many others, the children feasted, sang and danced, and celebrated Jesus’ birthday with a delicious cake. It was a truly wonderful end to an equally wonderful year! For some time now, my team and I have discussed our desire to work more with local churches in communities around the world. We believe one of our purposes is to inspire others to put their worship in action through caring for the needs of others; and, what better way for that to happen than to inspire the church? Local churches are the ones who are able to be present; to touch others with the love to Christ; and to minister in real and tangible ways to those in their communities who are hurting. 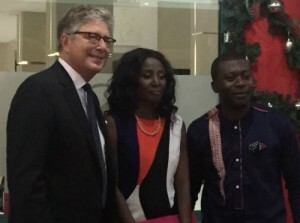 After many months of preparation, I am happy to report that on December 6, 2015 we had our very first WIA (known in Ghana as Don Moen and Friends) partner meeting in Accra, where local Ghanaians committed to support Royal Seed Home on a more regular basis. Because of this event, we now have additional resources to support the ongoing needs of the home. We owe a great deal of thanks to our dear friends, Daniel and Veronica Mensah and Emmanuel & Catherine Adu Sarkodee, who made this successful event possible. God is good, all the time. 2015 was an amazing year, and I believe 2016 is already shaping up to be even better. Thank you for joining us on this journey. We sincerely appreciate your partnership. To make a donation to Worship In Action (to any of our programs or to general funds), please click the button below.